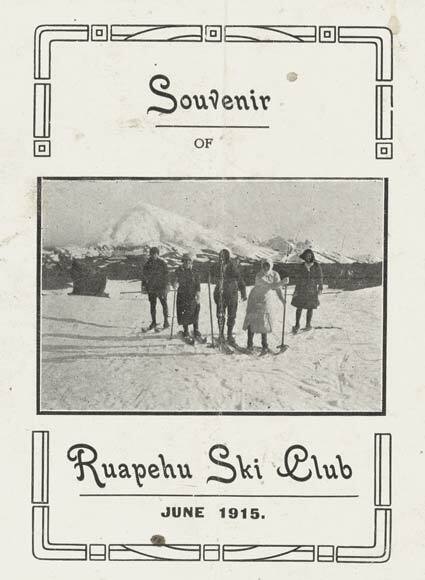 The Ruapehu Ski Club was the first in New Zealand, formed in 1913. This souvenir of 1915 shows men and women members on the slopes. It was the first skiing experience for some of them, and they found the basic gear rather difficult to manage. Skis were wooden, with awkward fastenings. Skiers carried only one pole, which they dragged in the snow to help with steering. Women soon realised that skirts were unsuitable ski clothing, and in the words of one, they had ‘a ripping time’.